On June 1st, the 1st BELTA Day took place. BELTA, the Belgian English Language Teachers’ Association, was formed in January 2013 by James Taylor, Mieke Kenis and Guido van Landeghem and since then many people have joined the board: Jurgen Basstanie, Ellen de Preter, Krishnan Coenen and myself as Editorial Officer of the blog. 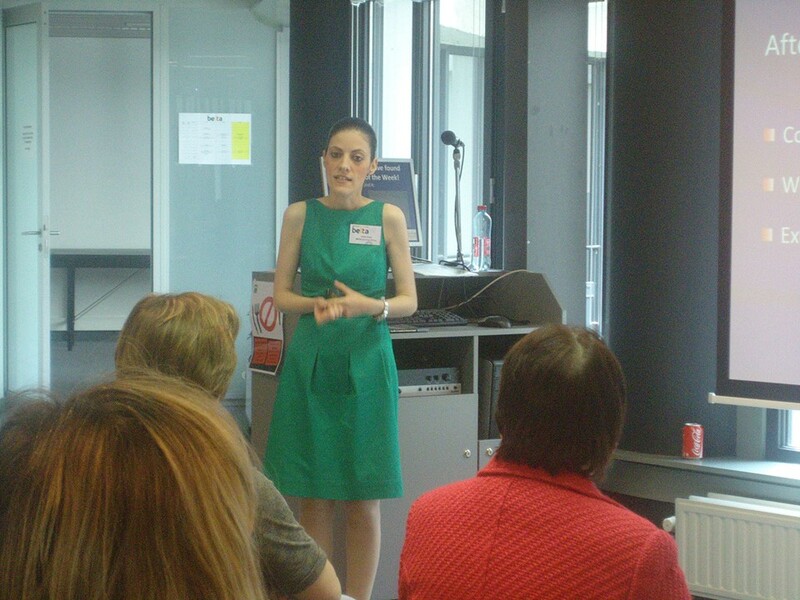 I was therefore honoured and moved to present at the 1st BELTA Day, which was an amazing experience. I saw fantastic sessions, learned a great deal and met amazing educators, from Belgium but also worldwide! Posted on June 6, 2013 by Vicky LorasPosted in adult learners, BELTA Belgium, Business English, Conferences, language, Loras Network, professional development, special momentsTagged BELTA Belgium, Business English, Conferences, language, learning, presentations, special moments, students, vocabulary.